Be used together with Water Polo Scoring Software. Select the player for 20s penalty. Display the information of socre, player and referee. 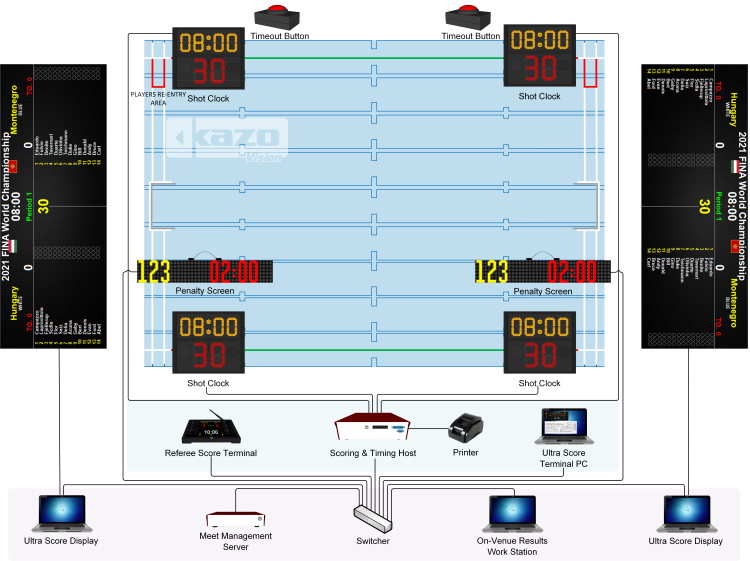 Can be connected to the "Water Polo Scoring Software", or the "Water Polo Referee Console", display the match timer and shot clock synchronously.